This aircraft is a D model and is one of a very few that still exist that has seen active service. It flew a number of missions with the 345th Bomb Group USAAF. It was acquired by the 380th Bomb Group USAAF in New Guinea after it had been taken out of active service and was used as a “fat cat”, ie an aircraft used to collect and transport the food and other luxuries that the Group needed to make life more enjoyable. 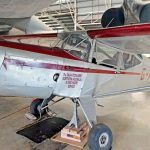 It flew between Fenton Airstrip 160km south of Darwin and Adelaide. 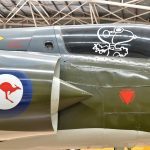 On its last flight the aircraft received maintenance at Parafield Adelaide, but the aircraft was not “swung” correctly leaving the compass incorrect. On the return trip to Fenton the aircraft missed Alice Springs and the crew put the aircraft down in the Tanami Desert. They were rescued the following day. The tail section of the aircraft was destroyed on DCA orders to prevent the aircraft from being repaired and used after the War. 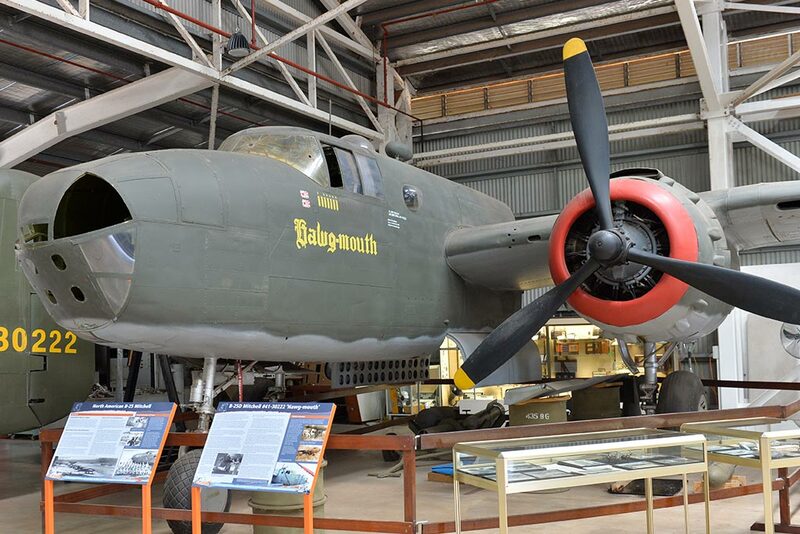 Salvaged and returned to Darwin in 1972 and was further damaged by Cyclone Tracy while at East Point. It has now been partially restored to the 1943 colour scheme and nose art of its 1943 New Guinea service condition. For more technical detail, see Wikipedia.